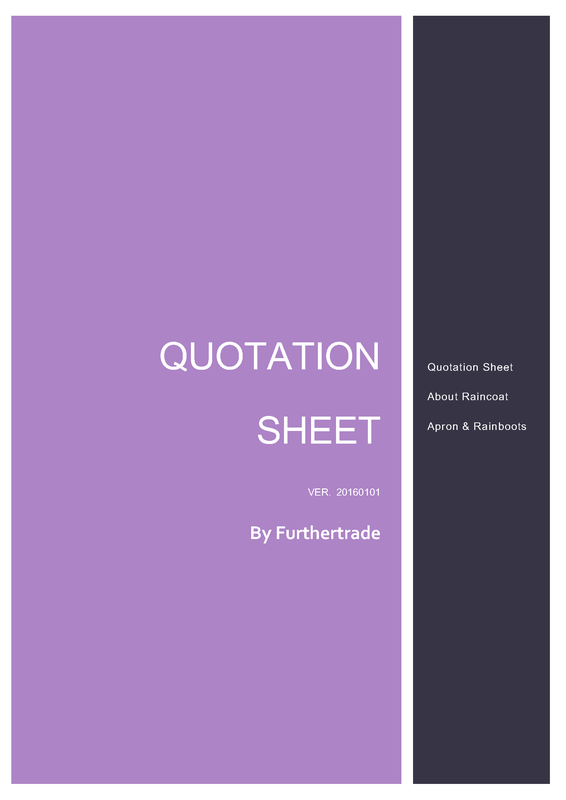 Furthertrade, one of the best waterproof poncho supplier and manufacturer, is an optimized model of boys raincoats manufacturing and mens poncho delivery service which comprise every segment of this process. The whole process includes ponchos for men material order, raincoats for men manufacturing to client`s needs, girls raincoats export, lightweight rain jacket transport, lightweight waterproof jacket custom clearance for a client and finally delivery best rain jacket to client`s door. Furthertrade like to say that only what is necessary is client`s request and we will do the rest. Design is adapted to all client`s requirements. Fashionable womens waterproof jackets design with all kind of varieties. 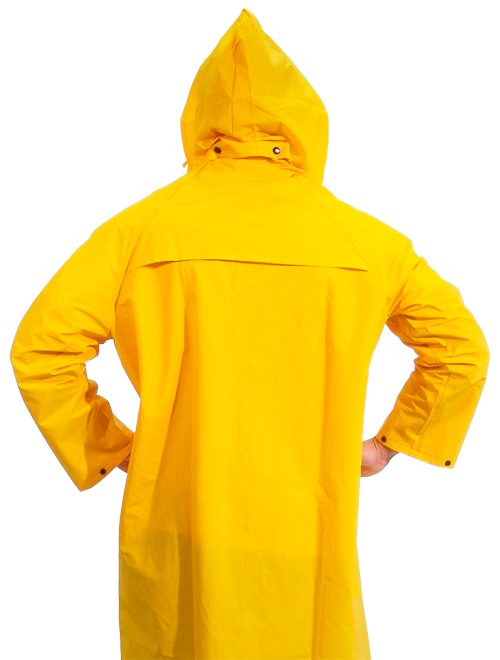 Print, size or accessories of best waterproof jacket could be easily adapted if necessary. Ladies waterproof jackets manufacture MOQ starting from 1000 pieces or even lower. We proud ourselves with employees who work with us 5+ years, and has a rich experience in many aspects. Meet SGS inspection standard AQL 2.5-4.0. 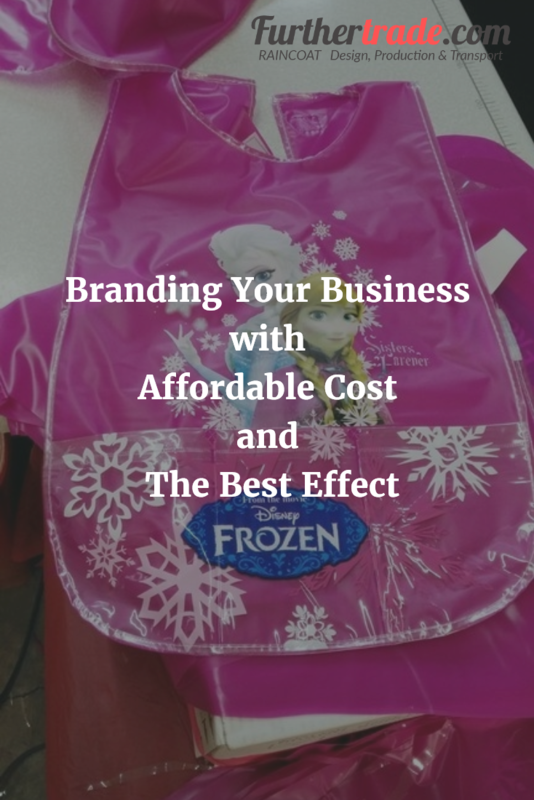 Help client selects weatherproof jacket design with adequate style, material, color, print, packing and etc. Production per a month is 100000PCS boys rain jacket or more. Azo-free, Phthalate free, low heavy metal, flammability and other EUR and US material standards – with certification. 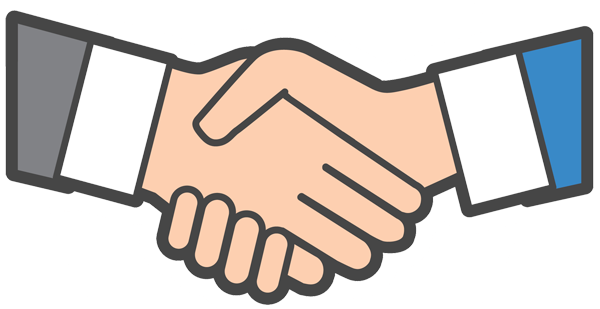 Long-term cooperation provide top quality, affordable price with a precise deadline,give us a great support to meet our client`s needs. Within 2 days delivery to port of shipment to catch the latest ship and also decrease inland transport charge. From raincoats for kids design, production, to transport, we even can clear custom for client and deliver motorcycle rain gear to client’s hand directly. We are ready to cover all aspects of order with these activities. Certificate of Origin, FORM A, Commercial Certificate and other necessary certificate, help with a quick custom clearance and provide tariff cut. T/T ,L/C, DP, Western Union, MoneyGram and others, according to client’s requirements. All necessary information will be delivered within12 hours. We proud ourselves with 10 years of experience in exporting and 30 years of experience in production and service of the excellent raincoats. Furthertrade as the raincoat for women supplier and manufacturer, our excellent womens raincoat have a multiple purpose. We emphasize quality and flexible clear raincoat which will cover you from top to the bottom, but also become powerful promotional material for company`s branding. A Lovely Girl in Rain. A high quality plastic poncho manufacturer and supplier will not only provide hight quality goods and service,but also share the knowledge with client.All necessary information about plastic ponchos characteristics (material, design, print etc. 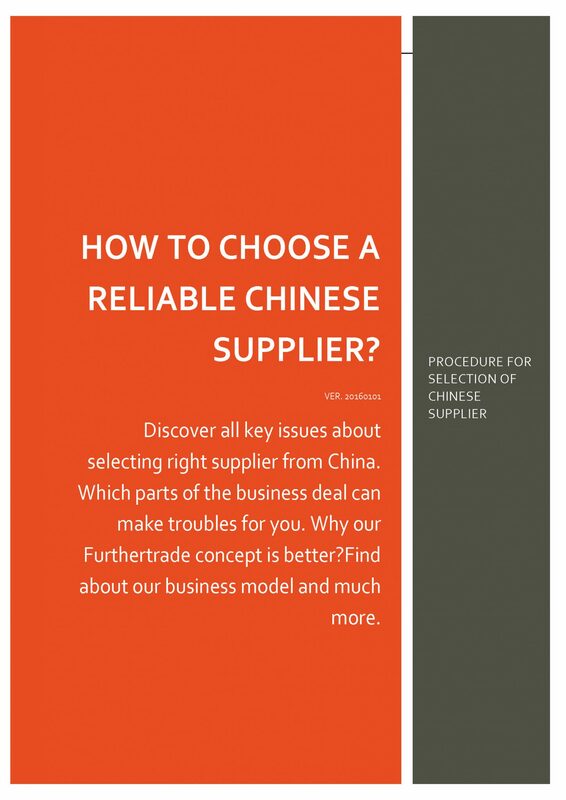 ), selection of the right supplier and much more you will find in our e-books. “Over the last 10 years the relation with Furthertrade has been very productive for our Brand, we have grown steadily in volume and quality has been great. ©2016 SHIJIAZHUANG FURTHER IMPORT&EXPORT CO.,LTD. Want to Become a Raincoat Expert? 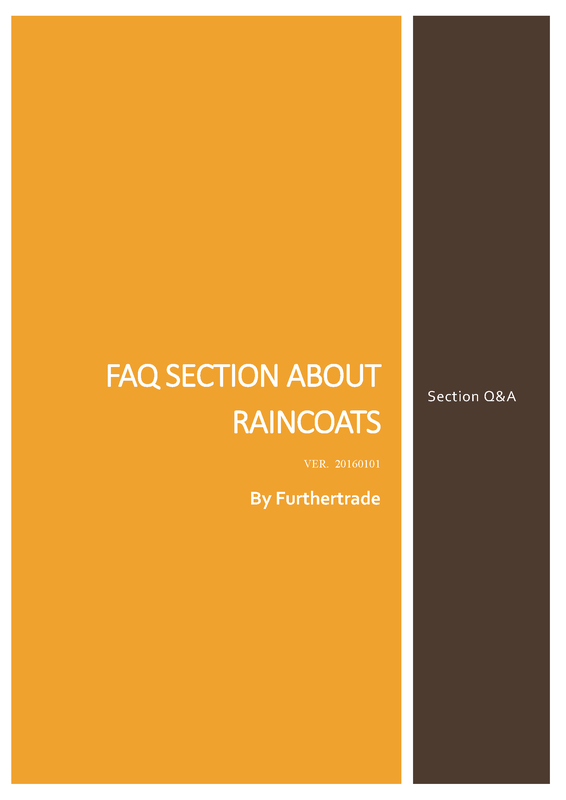 Subscribe Furthertrade.com Newsletter You will Get the FREE Raincoat Expert Course, Learn about Raincoat and Much More! 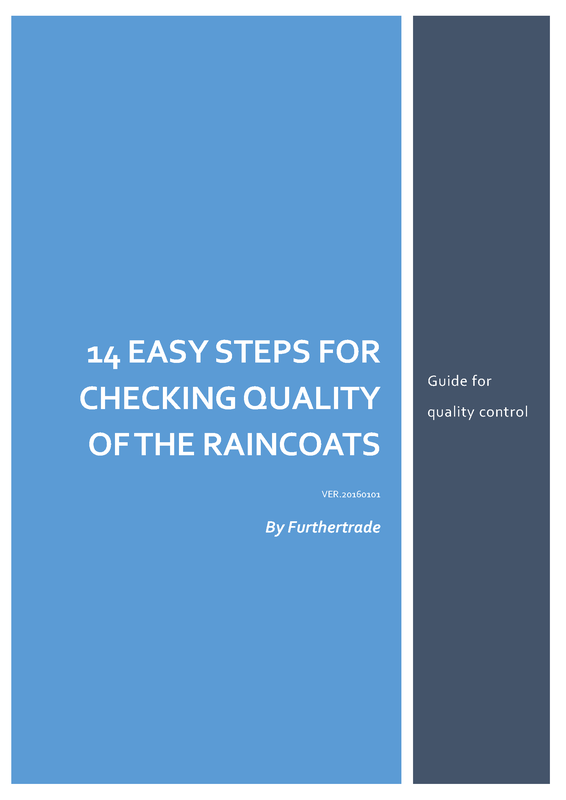 Learn More about Furthertrade.com & Become the Raincoat Expert!